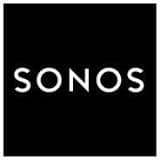 Sonos is an American-based consumer electronics company. A variety of products are available for music, TV, and stereo upgrade demands. In music alone, you can choose between such products as the Play:1, the Play:3, and the Play:5. Those who are interested in products for their TV will want to choose from such possibilities as Playbar and Sub. You can also find several options to help upgrade your stereo, including Connect and Connect: Amp. You can find out if there are any stores in your area. Barring that, you can also use this site to look for a dealer store in your area.